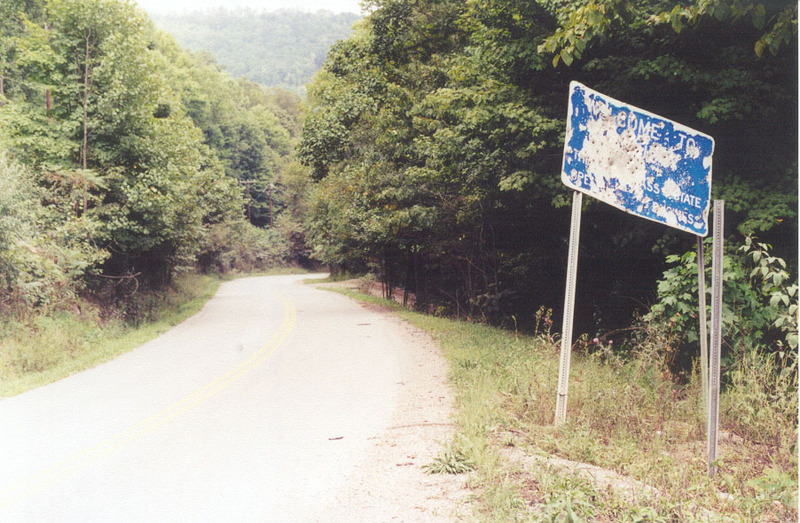 Fork Ridge, Claiborne County was named from a nearby mountain spur. It is located in the northwestern portion of the county on the Kentucky border. Fork Ridge was settled in 1890 when the Fork Ridge Coal & Coke Company opened a mine in the section. The third tragic event to happen at the Tennessee-Kentucky line where Claiborne County and Bell County adjoin, about five miles southwest of Middlesboro, was called "The Mingo Massacre" by some and "The Battle of Fork Ridge" by others. This incident resulted in four men being killed and nine others wounded. Those killed were: C. W. Rhodes, president and general manager of the Fork Ridge Coal & Coke Company and director of the American Association; E. W. Silvers, vice president and treasurer of the Fork Ridge Coal & Coke Company; Bob Robinson of Tazewell, former sergeant in the Tennessee highway patrol; and Sam Evans of Middlesboro, a member of the union pickets. Those injured were: R. W. Lawson; Alford Smith; Walter Polly; Earl Alley; John Holland; Clayton Webb; Millard Forester; A. J. Napier and a ninth person who came in the next day after having hidden in the mountains overnight. The situation that resulted in this tragedy had been getting worse for years. The coal mines in Yellow Creek Valley began to be developed some fifty years prior to this event. The railroad reached the area in 1889. Almost immediately the union organizing agitation in the coal fields in other regions reached the newly accessible mines. In 1890, various miners’ unions joined to form the United Mine Workers of America and designated District #19 as the district that included eastern Tennessee and southeastern Kentucky, including the Yellow Creek Valley. The strength of the union varied over the years with mounting pressure to support nationwide strikes and company pressure to resist any strike. In the fall of 1900 District 19 came out in a sympathy strike of its union nationwide. The strike was short-lived. In 1901 the Yellow Creek Coal and Lumber Company was formed with E. S. Helburn, Joe Bosworth, J. G. Fitzpatrick and A. H. Rennebaum as owners of the company. These men, known locally as "The Yellow Creek Crowd" were active and influential civic leaders for many years. 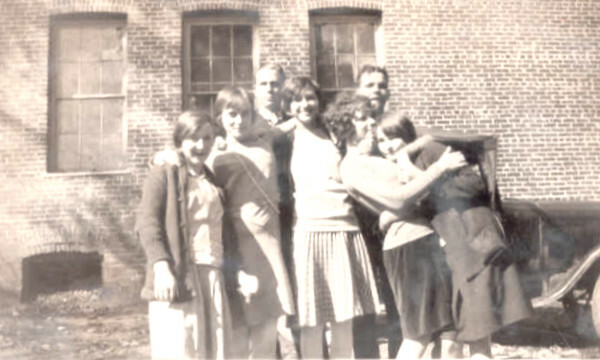 Their families were close friends with their wives working together on community activities and their children often intermarried. The strength of these men and others who owned the mines kept many of the mines operating as non-union mines for years. Finally the strike was settled and miners returned to work. In 1924, District 19 broke with the UMWA and accepted a reduction in wages. Then the depression hit and times were tough for all. Times remained unsettled through the 1930’s with boom and bust years for the coal industry. On April 1, 1941, the UMWA called yet another strike. Most mines in twelve states closed after 400,000 miners walked out. However, in Mingo Hollow the nonunion mines continued to operate. 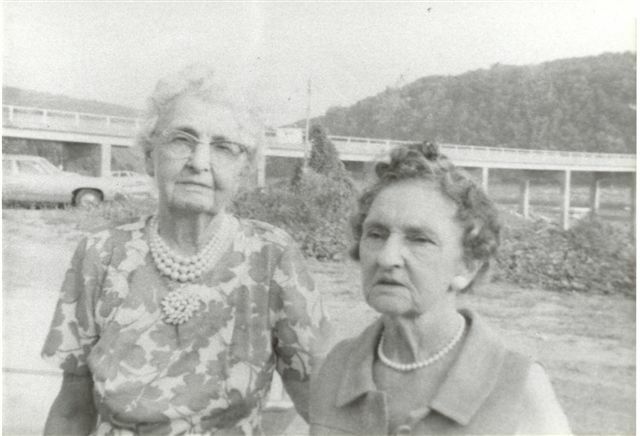 On April 14, 1941, a large group of union men, many from Harlan County, where violence had already been experienced, met a Colmar Road just north of Middlesboro to organize. The number of cars there has been estimated as high as fifty. James W. Ridings, the international representative of the UMWA, addressed the crowd. There are mixed reports as to what took place at this meeting, but the result was a convoy drove through Middlesboro and on to Mingo Hollow where they planned to meet the evening shift and convince them to sign in support of the union. The location where the confrontation and battle took place just happened to be the exact same location as the Cherokee slaughter of the Mingo Indians, the Quarterhouse battle and now the coal miner’s confrontation. As often seen to be expected by the mountain people, things happen in threes. This being the third event in the exact same spot. 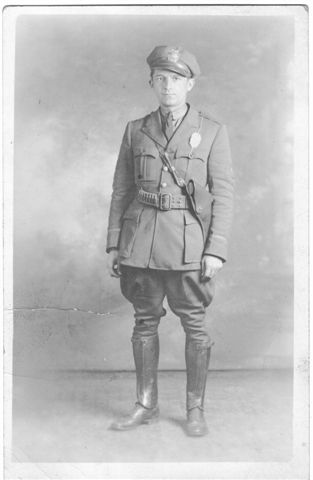 When C. W. "Dusty" Rhodes, manager of the American Association and president of the Fork Ridge Coal Company, learned the convoy of men was headed toward the mines, he determined to meet the situation head on. He drove out to the mines where he met three deputies and asked them to tell the group to keep the road open. The deputies attempted to convey the request but were ignored and disarmed. Rhodes then went to the schoolhouse near his mines. E. W. Silvers, vice-president and treasurer of Fork Ridge Coal Company joined him there. Silvers had been warned of the pending trouble through a phone call from his brother-in-law in Middlesboro. John Rhodes, Dusty’s brother and J. H. Woodson, manager of Kentucky Utilities also joined the group. After some discussion, they decided to drive down to the area where the pickets were blocking the road and deal with the situation. Bob Robinson, a former Tennessee Highway Patrolman, rode in the car with Dusty Rhodes serving as his bodyguard. The first miners getting off work started down the road and when they saw the road blocked they returned to the mine. Three miners decided to try and run through the roadblock and were stopped. Two of them signed the "check off" supporting the union and the third refused. He was dragged out of his car but before anything could be done to him their attention was diverted by three other cars coming from the direction of the mine. Silvers got out of his car and started toward the group of pickets. He stopped and spoke to them asking that there not be any trouble. Four or five union men grabbed him and threw him to the ground. At the same time this was happening, Robinson and Rhodes stepped out of their car. Robinson screamed something at the pickets and headed toward the front of the car with a rifle in his hands. Rhodes got out of the car on the other side. One shot rang out then two more. After a brief pause, a barrage of gunfire loosed a hailstorm of bullets for a minute or more. The union men who greatly outnumbered the company men killed three immediately. The company men took cover underneath the cars and returned fire killing one and wounding nine. The union men, realizing the extent of the killing and injuries, put their wounded in cars and sped back toward Middlesboro. Woodson crawled from beneath the car and attempted to call an ambulance, but soon realized all four men were already dead. The death of the two highly esteemed members of Middlesboro caused some to call the event a massacre. For others it was a righteous battle that had yielded a martyr. Over three hundred people attended the funerals of Rhodes and Silvers. Three thousand attended the funeral of Sam Evans. Indictments were issued for James Ridings, A. C. Pace, the nine wounded men and three hundred unnamed miners. William Turnblazer, the president of District 19 was also charged with first-degree murder even though he was not even in town at the time of the killings. The rationale used was that he had encouraged an atmosphere of violence that led directly to the tragedy. After this violence, the other non-union mine owners insisted their men join the union, as they wanted no more killing. The trial for the murder of Rhodes did not get underway until the day after Pearl Harbor when attention was diverted elsewhere. It took four days to select a jury with over nine hundred potential jurors called. Many did not show, many others had ties to the union or admitted to an opinion. Finally a jury of farmers was selected. Testimony was completed in four days and the jury deliberated five and a half hours before returning not guilty verdicts for all defendants. Trials for the murders of Silvers and Robinson were delayed and finally, in August 1942, dismissed with a directed acquittal. The coal boom continued through 1947 when District 19 had 20,000 unionized miners. However, by 1953, nearly a third of Kentucky’s miners were unemployed as a result of changes in the mining industry, overseas coal importation and closure of many small mines. This trend continued until District 19 had only 4,589 members in 1964. Don’t ever let anyone tell you that land that has been strip mined can ever be reclaimed to anything like it was before. We had never heard of strip mining before 1948 or 1949 when they started working not far from our home in northwest Claiborne County, Tennessee. We thought they had found a rich pocket of coal and when they got it they would leave. Never did we dream that 57 or 58 years later they would still be there ripping and tearing up what used to be such a beautiful place. 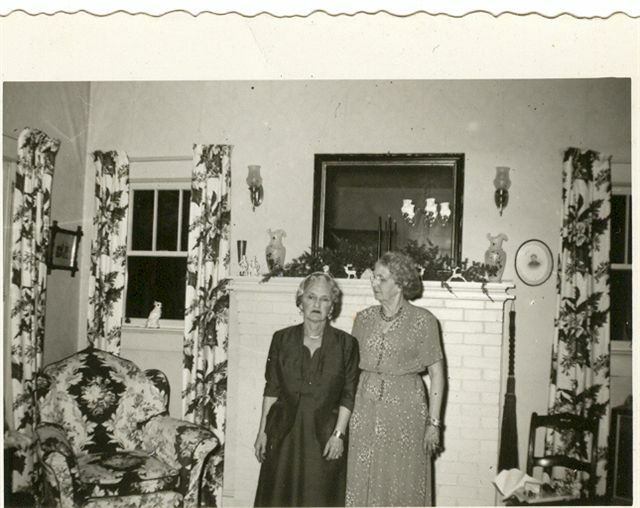 My childhood memories of my Robinson family were of my Aunt Lucile Robinson who had married Henry Horton Robinson. 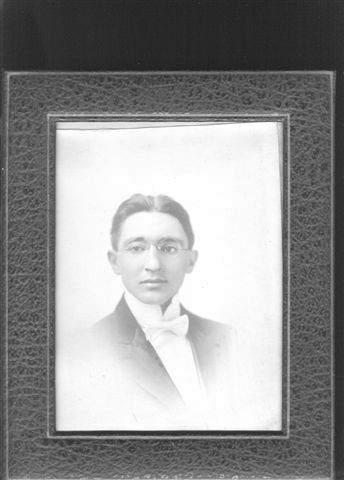 Horton was a first cousin to Jacob Baylor "Bob" Robinson. 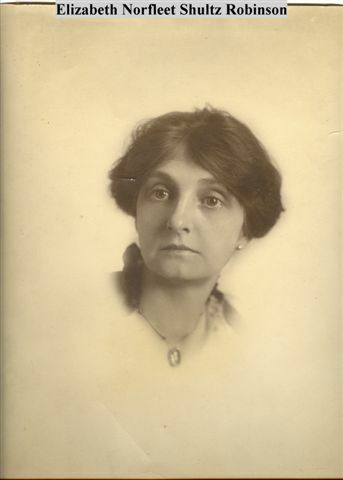 Pauline Robinson, Horton's sister, had married Tipton Payne, a first cousin to my father, Al Payne. So the Payne/Robinson relationship was close. My generation only heard mostly second hand accounts of the events surrounding Sgt. Bob Robinson's death but from knowing and attending the Tazewell United Methodist Church his mother, Elizabeth Norflett L. Schultz Robinson and from the rest of the Robinson's who visited from North Carolina, I was always sure that they were the kindest and most honest people that I would want to know. 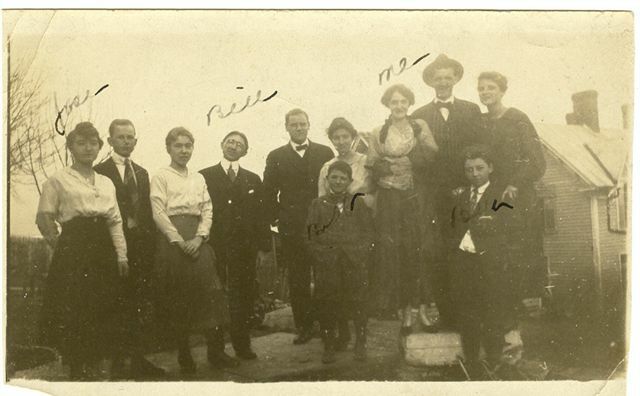 The Robinson and Rose families were close and from what I can discern from the 1920 census Jacob Baylor "Bob", then 13, was living with his brother's Ben Henry and Schultz in the household of J.W. Rose, Sr. and J.W. 's son Earnest 15. With them was J.W. 's brother-in-law G.M. 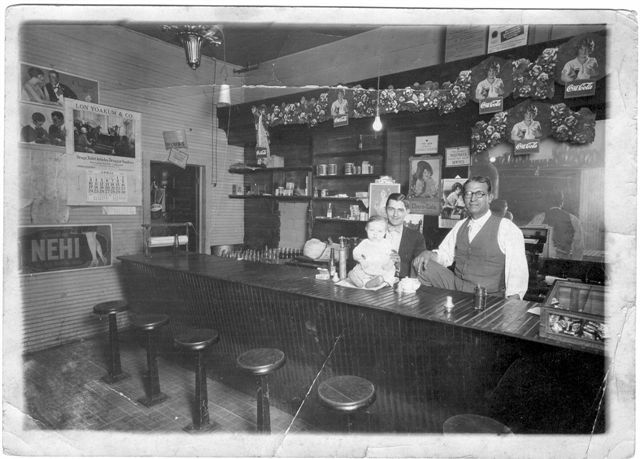 Moyers and Laura Rose Moyers, and J.W. Rose, Sr sister. G.M. Moyers was apparently the son of Henry Moyers. Henry Moyers had several other children, daughters Roxie and Kattie, son Billie, daughter Lillie and sons Cloud and Robert. The follow pictures were sent to me by Beth Robinson Bunch in December 2007. Beth is the daughter of William Jacob Robinson, who in trun was the son of Jacob Baylor "Bob" Robinson, the son of Sterling Robert Robinson. 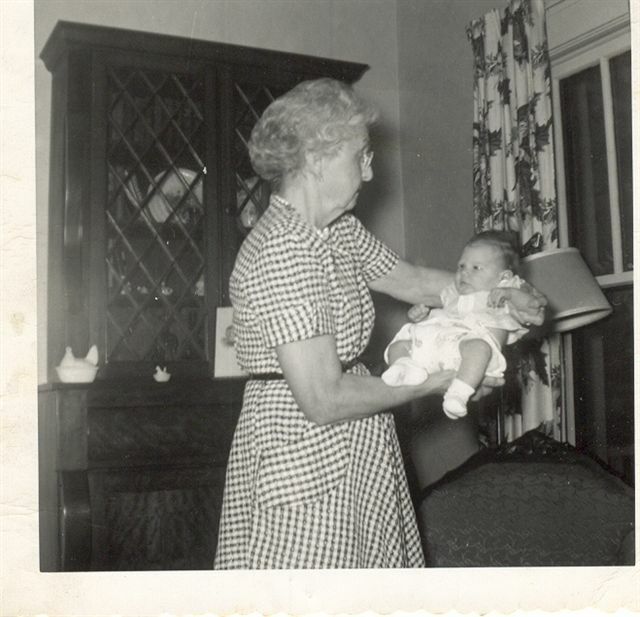 A few are from pictures that I have in my collection from my parents and are scanned here. Another page I have located thanks to Randy Bullen is the AUCTION SITE of Sgt. Robert (Bob) Robinson's Tennessee State Patrol .38 Colt service revolver. It sold in 2013 for a mere $17,250. 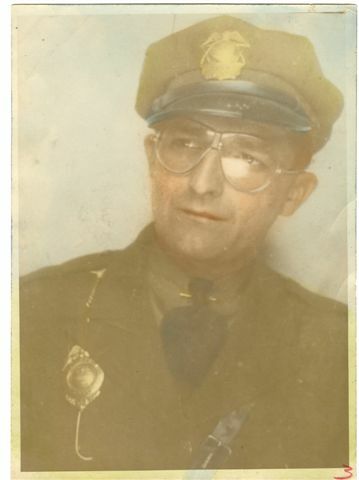 My grandfather, son of Robert Sterling and Lizzie Robinson. This is my great grandfather Robert Sterling Robinson. 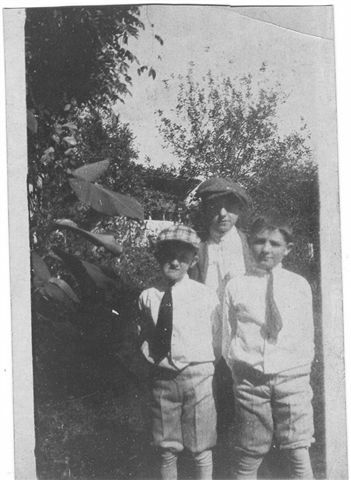 Could these children be Pauline and Henry Horton, Ben and Carrie's children? They aren't his as he and LIzzie had three boys. 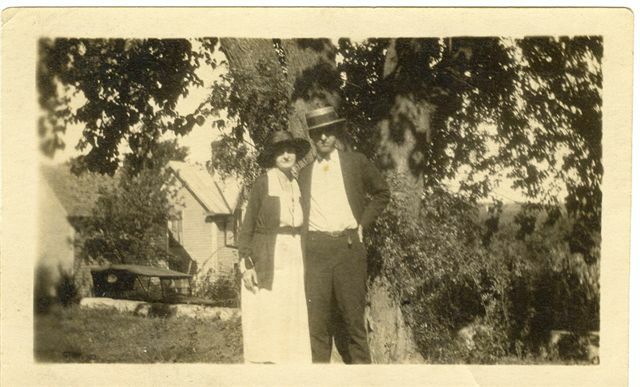 My aunt Jane seemed to think they were Pauline and Henry Horton. Joe, three generations of Robinson men. 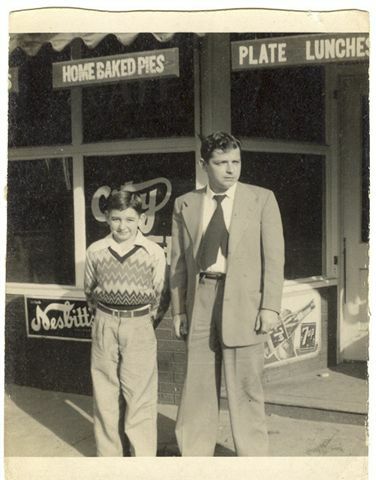 Robert Sterling Robinson, his son Jacob Baylor (Bob) Robinson, and his son William J (Bill) Robinson, my father. 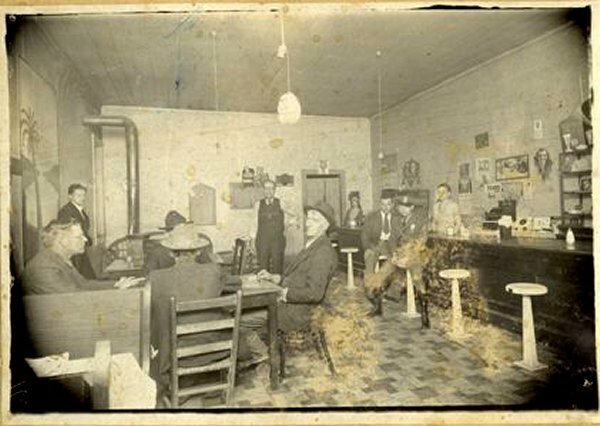 Picture taken April, 1927 at the Betty Lou Cafe in Tazewell once called the City Cafe. 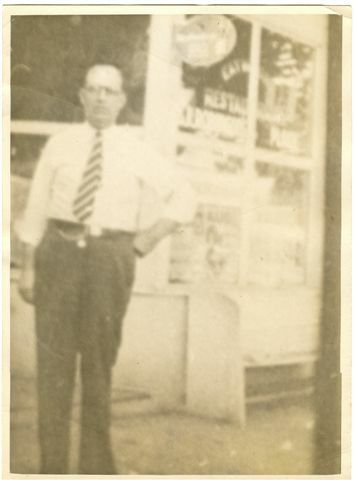 My great grandfather Robert Sterling Robinson in front of his restaurant, City Cafe. 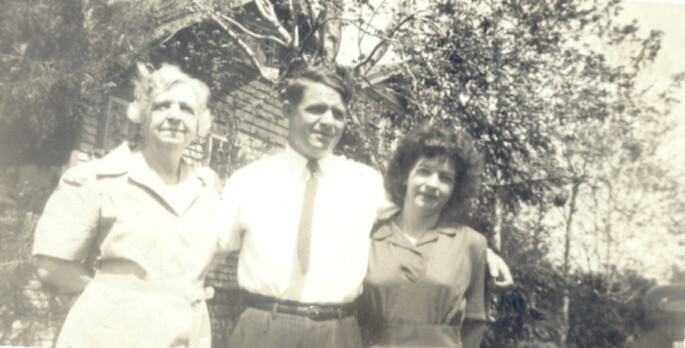 Aunt Katie L. Robinson Aiken, Horton and Pauline Robinson. 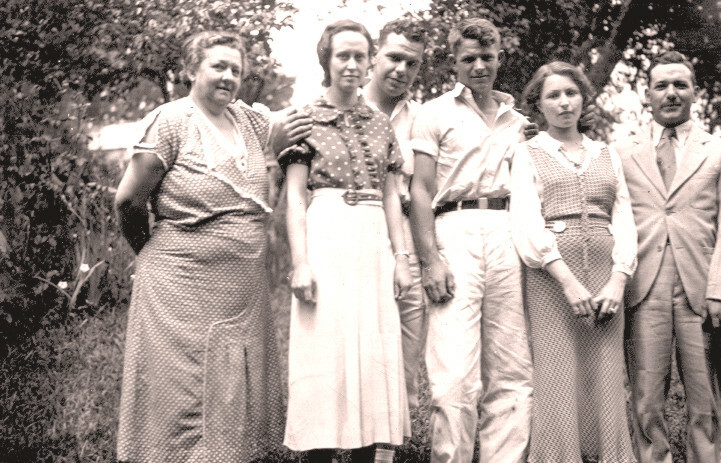 Kate Aiken, 43, was living in Jacksonville, Fla in 1920 with cousins Archibald Robinson 30, Mary Robinson 66, Clara Robinson 38, Guy Robinson 33, James Robinson 27 . 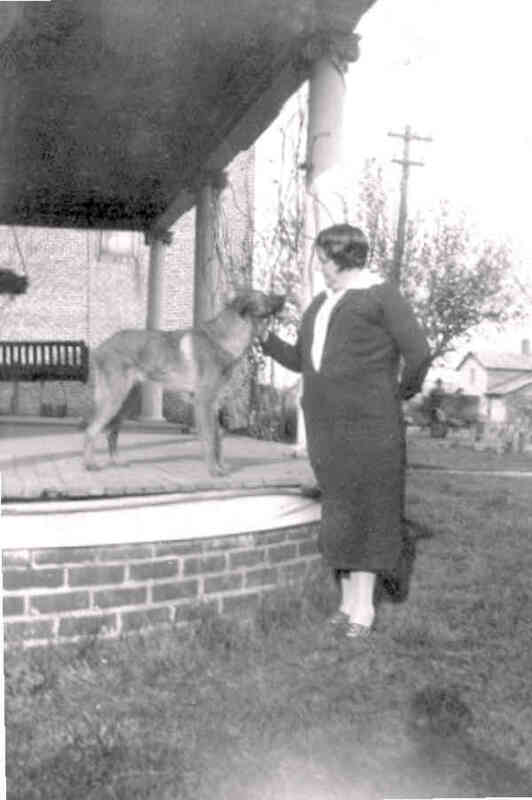 By 1930 Kate Aiken was living in Knoxville in a rooming house. Lizzie & Robert "Sterling" Robinson's boys when they were young. 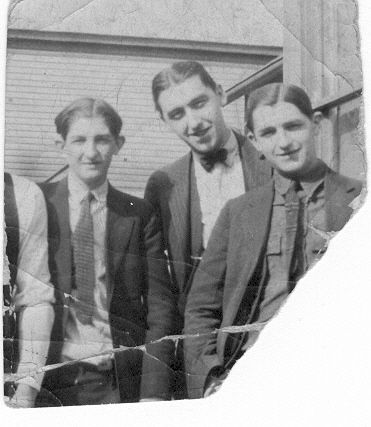 Schultz, Ben H. (Hadad) and Jacob Baylor (Bob) from left to right. Bill Shultz brother of Lizzie Shultz Robinson, son of Benjamin Franklin Shultz, when he graduated Phamacy School. The Betty Lou Cafe. My grandmother Alta Robinson standing behind my grandfather Sgt Bob Robinson (Highway Patrol) sitting next to him is Sterling Robinson son of my great grandfathers brother Ben, my great grandfather standing in the middle of the floor Robert "Sterling" Robinson, another cousin leaning up against the wall, and John Greer at the table.